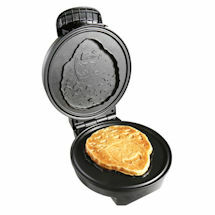 Make happy little toast at home. 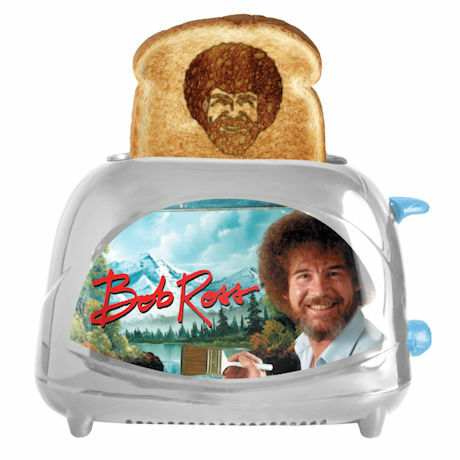 Drop bread into the slots, press the lever, and before you know it, up pops toast with Bob Ross's face and distinctive 'do. 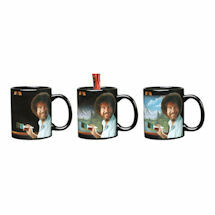 And if you burn it a little, remember what Bob said: "There are no mistakes, just happy accidents." Two-slot space-age style toaster has reheat, defrost, and quick stop functions and adjustable thermostat. UL®-listed. 10"w x 8 ½"h x 5"d.